Jonathan is a graduate of New Brunswick Bible Institute and a former Word of Life Impact Team member (1997-99), and Melissa is a graduate of Lancaster Bible College. Together, they coordinated Word of Life Canada’s Impact Team ministry from 2001-2006, with Jonathan training and discipling the team members and undertaking hundreds of speaking opportunities each year. 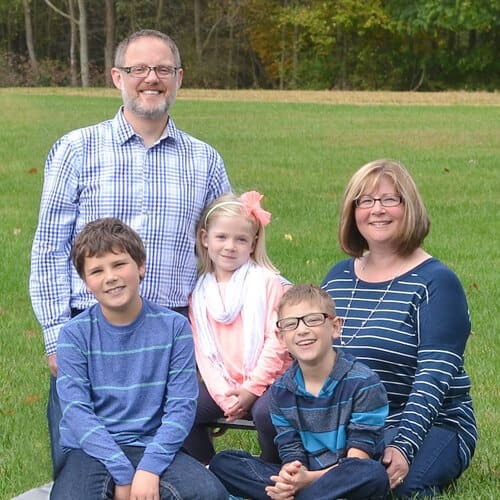 Jonathan now serves as the Associate Executive Dean and is Professor of Bible Survey at the Owen Sound Campus of the Word of Life Bible Institute. Please pray for this young couple as they serve, counsel, and encourage our Bible Institute students. Jonathan and Melissa have three children: Andrew, Jaydon, and Abigail.